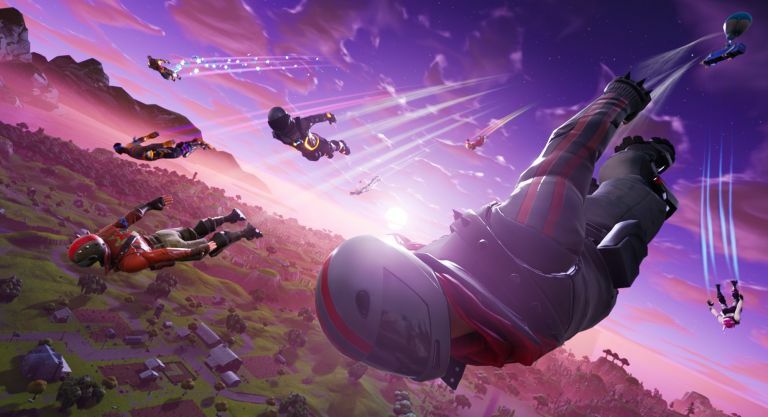 Considered to be the worst kept secret in video games as of late - with everything from datamined leaks to celebrities seemingly outing its existence - Epic Games has finally confirmed that Fortnite is coming to Nintendo Switch. In fact, it launches today and should be live on an eShop near you right now. The battle royale hit is free-to-play, and was revealed as part of Nintendo's E3 2018-themed Direct broadcast. As you've probably guessed, since it's free-to-play the Nintendo Switch version only includes the standalone 'Battle Royale' mode where a you and 99 other players skydive into a map before scavenging for weapons and gear. You then need to eliminate other players while the map slowly shrinks around you. You can also play in squads, if you're more of a team-player/slayer. The game will require almost 2GB in space, so be sure to make some space on your MicroSD card. There's also a lot of microtransactions, if you like paying for costumes and meme-happy dances.